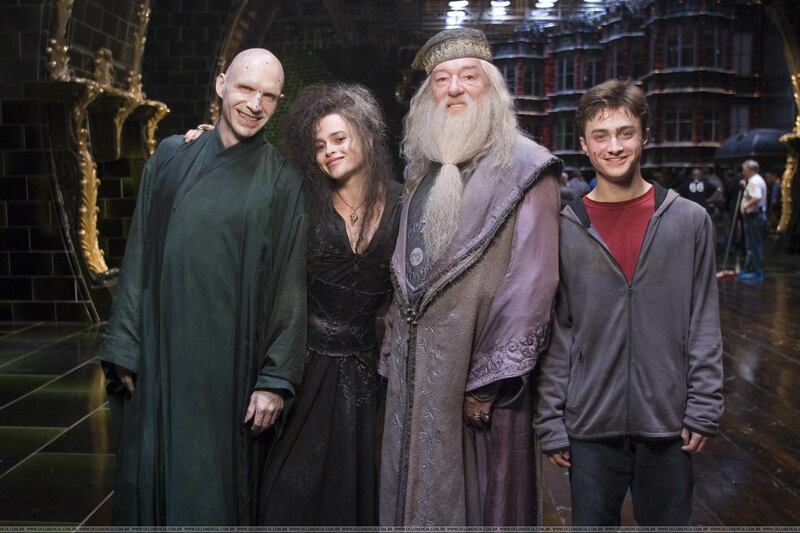 I’m guessing Dumbledore has no idea that the two people on his right are the bad guys. We have been re-watching the “Harry Potter” octalogy (yes, that’s really what it’s called) the past few days, and I have some questions. Most of them start with the word “why.” But my main question is this: Why is Albus Dumbledore so widely revered as the greatest wizard of his day? WARNING: The following article contains major spoilers to every entry in the “Harry Potter” series, so don’t read any further if you haven’t read the books or seen the movies, but want to. Also, if you fit into that category, how do you exist? 2. In “Chamber of Secrets,” Dumbledore allows one of his students to be possessed by Voldemort and lets a giant monster snake around the school all year, nearly killing a handful of people (and a cat). He then bows the knee to a bunch of bureaucrats who want to suspend him, but does leave behind his pet fire chicken to help a 12-year-old boy fight the deadly monstrosity. 3. In “Prisoner of Azkaban,” he lets Harry traipse around secret passages and an unguarded village with a supposed murderer on the loose (even though “Chamber” established the fact that Dumbledore evidently has no trouble seeing through the Invisibility Cloak) and allows him to be nearly killed by Dementors more than once. At the conclusion, he encourages two children to break wizarding law and create a disastrous time paradox. 4. “Goblet of Fire” is especially rich: An insane Death Eater spends the entire year posing as a wizard Dumbledore purports to know very well. Despite Alastor Moody‘s uncharacteristic behavior coinciding with obvious clues that there is a traitor at Hogwarts, Dumbledore orders the so-dangerous-it-was-once-outlawed tournament to carry on, ultimately leading to the death of a student and the return of Voldemort. 5. In “Order of the Phoenix,” Dumbledore stands by while the government tortures his students and wrests control of his own school away from him. He also spends the year ignoring Harry — which is ultimately revealed to have been a ruse motivated by Dumbledore’s complete misreading of Voldemort’s intentions — leading to the death of Sirius Black. 6. In “Half-Blood Prince,” it is revealed that Dumbledore was the genius who recruited the future Voldemort to Hogwarts in the first place, despite all the ample visual evidence that he was the most evil kid ever (honestly, who parts their hair like that?). In the end, he invites his impressionable young protégé along to torture him for the purposes of gaining a useless, fake Horcrux, and then has him witness the death he knows is imminent, ensuring Harry’s mental state is in excellent condition as he prepares to face the most powerful dark wizard in existence. 7. Yep, he even manages to screw things up when he’s dead. In “Deathly Hallows,” we learn that Dumbledore had asked Severus Snape to kill him, as part of a clever ploy that seems to accomplish little more than forcing Snape to live among the Death Eaters for a while before being brutally murdered by Voldemort’s snake. However, in purgatory or whatever, he does offer Harry the chance to selfishly continue on to the afterlife, which, by the way, would result in the death or enslavement of every good person in the world. So, yeah. Dumbledore’s legacy as headmaster of Hogwarts makes Æthelred the Unready and Kim Jong-il look like kind, supremely competent leaders. As far as I can tell, Harry’s chances for survival got a lot better after the conclusion of the sixth book. But fortunately, Harry does somehow manage to do all the right things and defeat the Dark Lord once and for all — you know, despite Dumbledore’s heavy influence on him. I love the article. I’m sharing this with my buddy Jen. 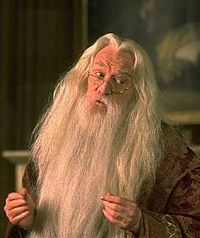 Professor Dumbledore is the best of a weird breed of wizards. Hahaha! I’ve been duped! You probably aren’t the first to come to some of these conclusions, but the first to me. I can’t believe how incompetant he seems now that he masterminded the whole thing to insure that the a boy wizard defeats Voldemort. I know, right? I used to really like Dumbledore, but watching the series again has made it painfully obvious how incompetent he was portrayed to be. You might be overthinking this… but that doesn’t mean you are wrong. Dumbledore has never been my fav character… mainly cause I never liked him.